English biologist known as the main advocate for Charles Darwin's theory of evolution. I take it that the good of mankind means the attainment, by every man, of all the happiness which he can enjoy without diminishing the happiness of his fellow-men. If we inquire what kinds of happiness come under this definition, we find those derived from the sense of security or peace; from wealth, or commodity, obtained by commerce; from Art—whether it be architecture, sculpture, painting, music, or literature ; from knowledge, or science; and, finally, from sympathy or friendship. No man is injured, but the contrary, by peace. No man is any the worse off because another acquires wealth by trade, or by the exercise of a profession; on the contrary, he cannot have acquired his wealth, except by benefitting others to the full extent of what they considered to be its value ; and his wealth is no more than fairy gold if he does not go on benefiting others in the same way. A thousand men may enjoy the pleasure derived from a picture, a symphony, or a poem, without lessening the happiness of the most devoted connoisseur. 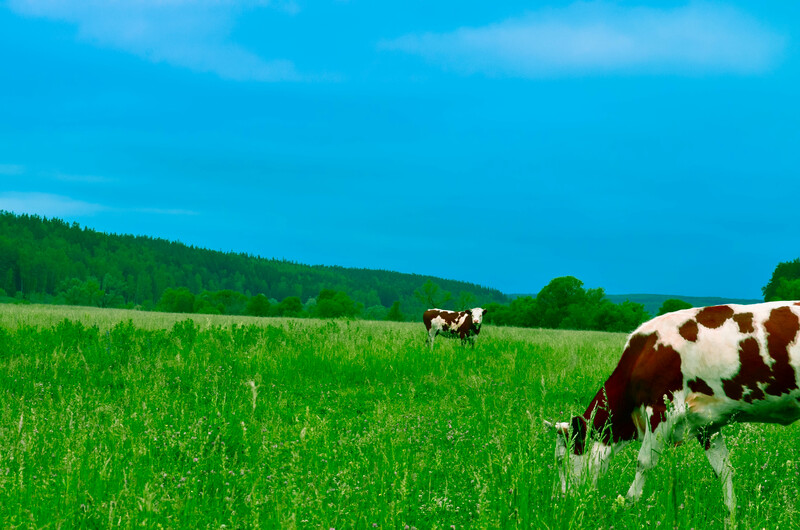 The investigation of nature is an infinite pasture-ground, where all may graze, and where the more bite the longer the grass grows, the sweeter is its flavour, and the more it nourishes. If I love a friend it is no damage to me, but rather a pleasure, if all the world also love him and think of him as highly as I do. 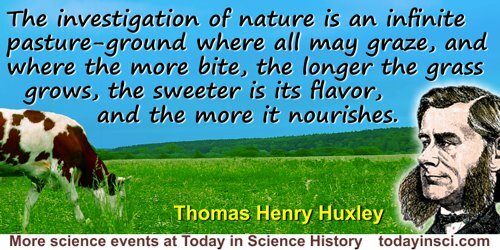 Science Quotes by Thomas Henry Huxley.